A window will pop up, requiring some information from you. Firstly, it will ask you for your website address. Type your website URL in the input field. Secondly, it will ask you for a message. Type your message, which you want to send to the user. After filling out all the fields, click the “Get Code” button. Copy the HTML code and paste it in your button’ s onclick attribute. Save your code and open up your website. 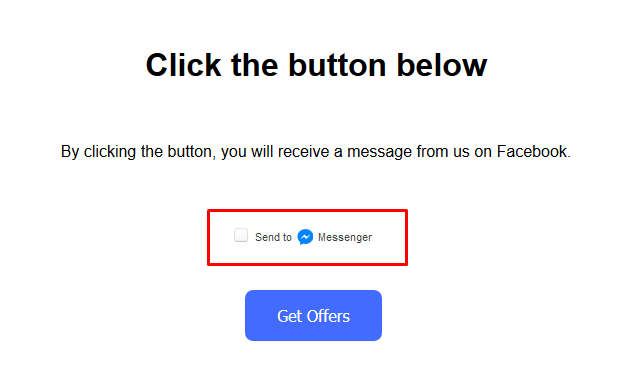 You will see a check box with a label “Send to Messenger”. If you mark the checkbox and click the button, you will receive the optin media block message from your page.